Blowout Fractures and Hyphemas – A hyphema refers to bleeding in the anterior chamber of the eye while orbital blowout fractures are cracks in the facial bones surrounding the eye. These are serious injuries and considered medical emergencies. Hyphemas and blowout fractures are caused by significant blunt force trauma to the eye and face, such as getting hit by a bat, ball, stick or kick. Corneal Abrasion – Rubbing the eye when a foreign body is present or poking the eye can cause corneal abrasions. This injury can cause eye redness and make your eyes more sensitive to light. Corneal abrasions also make your eye more vulnerable to infection. As a trusted family eye care provider, Vision Care Plus recommends seeing your eye doctor as soon as possible if you have a scratched eye. Eye Swelling – Being struck in the eye can cause puffy and swollen eyelids. This can be caused by a baseball or being punched in the face. Fortunately, a simple black eye can be treated with an ice pack. We still recommend visiting an eye doctor to check for any internal damage. Subconjunctival Hemorrhages – This involves leakage of blood from one or more breaks in a blood vessel that lies between the conjunctiva and sclera. This is common and can make the white sclera appear bright red. This condition is painless and the eye will return to its normal appearance over the course of several weeks. 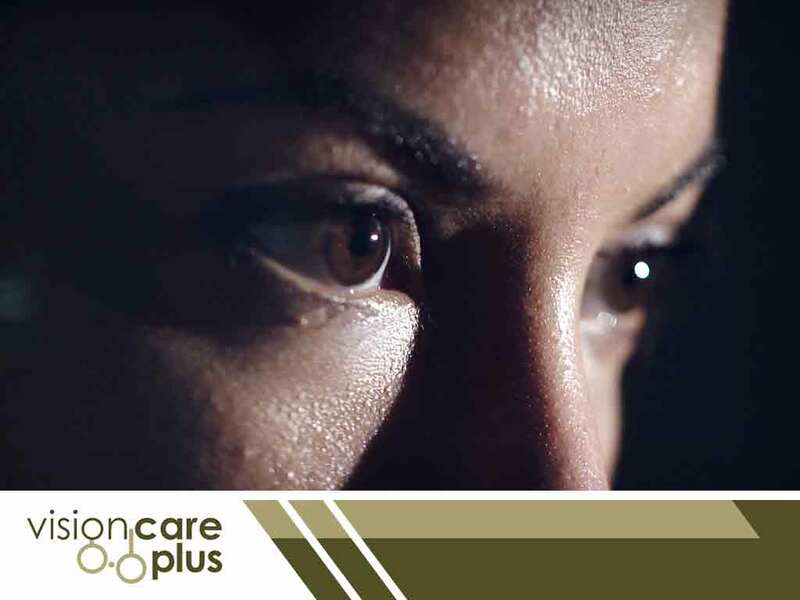 Caustic Foreign Substance in the Eye – Acids can cause considerable redness and burning but can be washed out easily, while alkali do not cause as much immediate eye pain but are much more serious. If you get splashed in the eye, rinse your eye under tap water for at least 15 minutes. Then go to the eye doctor. If your eye is incredibly blurry or red, go to the doctor immediately. If you suspect that you have experienced an eye injury then you should call visit an eye doctor as soon as possible. Vision Care Plus can provide vision therapy, perform comprehensive eye exams and more. We care for our patients like they are family. Call us at (844) 201-5900 to make an appointment. We serve patients in Leduc, AB, and nearby areas in Alberta.